Over the past four years, numerous people in The Lutheran Church—Missouri Synod have been asking LCMS International Center staff members for a list of specific mission projects that could be sponsored through designated gifts and offerings. 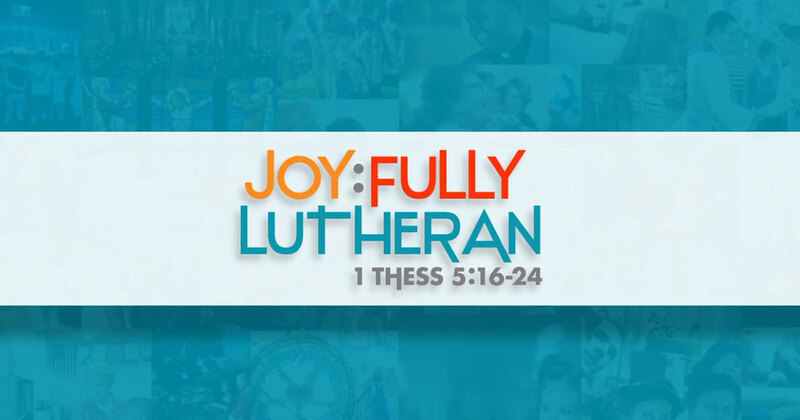 Now, as the result of much work and collaboration between the offices of International Mission, National Mission, Communications and Mission Advancement, a new online project catalog is available on the Synod’s website at lcms.org/projectcatalog. The new mission-project catalog — available at lcms.org/projectcatalog — describes specific national and international mission projects open to receiving gifts and offerings. 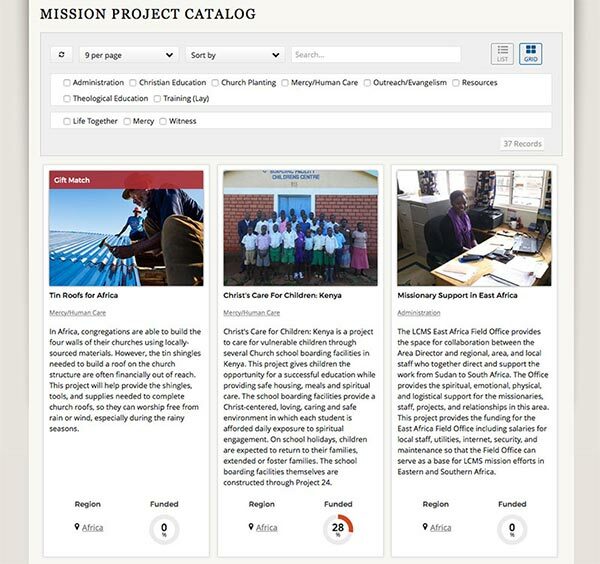 According to Mission Advancement Executive Director Mark Hofman, the new mission-project catalog fills what had been a gaping hole in the Synod’s menu of giving opportunities, and provides information about specific national and international mission projects open to receiving special gifts and offerings. Visitors, church leaders and interested groups can search the catalog in several ways — such as by keyword, region, funding level and project type — and monitor progress toward a project’s funding goal. Users can configure the catalog to their display preferences, by selecting either a list view for more information or a grid view for less information, similar to the way the Synod’s existing missionary catalog functions. Each project listed identifies the specific person or team responsible for the work. Gifts are credited to the account number for that project, shown in the list view — which means donations will only be used for that specific project. The process started with the Synod’s missionaries, who are providing descriptive information for more than 400 mission projects being attempted in the field. All of these projects have been approved by the LCMS Board of Directors as meeting the mission objectives of the LCMS, although each project is contingent on receiving sufficient funding. 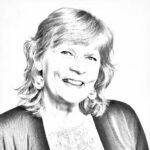 “That was a stewardship lesson we learned the hard way: we can’t afford to spend money we don’t actually have in hand,” Hofman said. After the information was received, Mission Advancement and Communications staff worked together, building a tool capable of presenting it in a low-cost, user-friendly format. Although data on more than 400 projects is being compiled, no more than 90 will be displayed in the catalog at any one time. As projects are funded, new projects will be added. Funded projects will still be displayed for a time, but the option of making an online gift will be closed to prevent over-funding. Hofman said that even before the project catalog was up and running, two projects were fully funded, thanks to the fact that Mission Advancement staff had the information available to answer prospective donors’ questions. “People give because the Holy Spirit drives them to do remarkable acts of self-sacrifice,” he said. “It’s not a normal human behavior in our self-serving society. You put these three things together — collaboration; good, solid information; and that Spirit-driven drive — and miracles can happen. … We pray God’s people will take the time to explore the new project catalog, as well as our missionary catalog and ministry catalog, to see if there’s something that resonates with what the Spirit is driving them to do in our Lord’s name. For questions, comments or to get help in navigating the project catalog, contact Mission Advancement at 888-930-4438 or mission.advancement@lcms.org. I continue to be impressed by the insight, ability to reach/connect with people, and quality of work of Mark Hofman.